The main objective of the machine is to cut the cocoa pods and to separate cocoa beans from cocoa pods automatically. The other objective of the machine is to Reduce the time required for pod cutting and bean separation. Reduce injuries. Reduce labour cost. Reduce wastage of cocoa beans Reduce electricity consumption. THIS MACHINE CONSISTS OF FOUR UNITS. Input Unit(loading unit)- Here we put the cocoa pods which is to be cut and separated. Cutting Unit- In this unit we cut the cocoa pods in to two parts vertically using rotating blades. Rotating Unit(separating unit)- The breaked cocoa pods now enters in to a rotating unit where the cocoa beans get separated from cocoa pod. Collecting unit- Here we collect the beans. The innovative approach is given in the cutting unit. As the cocoa fruit size is varying, the blades are attatched by springs. This machine is very much helpful for cocoa farmers. It takes only one hour to separate 100kg of cocoa beans. Therefore time requirement is less. Now a days cocoa cutting and separation is done manually. In manual separation it takes about 8 to 10 hours for separating 100 kg of cocoa beans. The farmer alone can operate this machine, thereby labour cost is reduced, whereas in manual cutting it requires 2 labourers to perform this task. This machine is working under solar panel, so less electricity is required. This machine is portable and can be placed anywhere in the farm. It avoids injuries because it is provided with protective covers, whereas in manual cutting there are chances of injuries to our hand. There is less chance of technical problems to the machine, because it is fully working mechanically. No softwares are installed. My acheivements are My project is selected as a START UP in BIIC of M.G University. Won BEST MECHANICAL PROJECT award in National Level. Won BEST INNOVATIVE PROJECT award by BIIC of M.G University. Finalist in Malayala Manorama YUVA MASTERMIND 2016. Won first price in state level FYP exhibition. Finalist in NATIONAL INNOVATIVE CHALLENGE at IIT Delhi. ( One among top 26 projects in National level). Applicant of GANDHIYAN YOUNG TECHNOLOGICAL AND INNOVATIVE AWARDS 2018 conducting by Rashtrapathi Bhavan. Selected as Best STUDENT PROJECT in our college. My future plan is to introduce this machine in the market in an economic price. In order to introduce this machine into the market a huge finance support is required. I would like to introduce this machine in all cocoa producing countries. Also my project is selected as a STARTUP PROJECT. I am Ajith Mathew Thakidiyil. Address:Thakididyil (h) Urulanthanny p.o Kothamangalam, kerala, India PH: +919048947909 Email ID: [email protected] DOB: 9-11-1995 Educational Details: I completed my BTECH in Mechanical Engineering from Viswajyothi College of Engineering And Technology My acheivements are Selected for the finals of GIJUTSU 2017. Won BEST MECHANICAL ENGINEERING PROJECT award in National Level, conducted at Saintgits College Of Engineering . Selected as a START-UP PROJECT in BIIC of M.G University . Finalist in Malayala Manorama YUVA MASTERMIND 2017 . ( One of top 25 projects among 2000 projects). Won First price in STATE LEVEL FYP EXHIBITION held at Viswajyothi College of Engineering . Won First price in PROJECT EXPO competition conducted at Bodhi 2017. Won BEST STUDENT PROJECT award in Mechanical Engineering Branch of Viswajyothi College Of Engineering . Selected for the final of NATIONAL INNOVATIVE CHALLENGE conducting at IIT Delhi. (One of top 26 projects in National Level). Applicant of GANDHIYAN YOUNG TECHNOLOGICAL AND INNOVATIVE AWARDS 2018 conducting by Rashtrapati Bhavan. First of all congratulations to all the finalists. I would like to thank all who have supported me throughout this journey. Wishing all a great success. Congratulations, you are a winner!!! We have all been waiting to hear this. Winning or loosing for me is a perspective. It depends on how you look at it. What you do next is what's important. A wise man said " He who fights and run lives to fight another day". Its interesting, there are two phases to this statement. I hope you really really get it. Don't give up, stay connected and you have already won. I am waiting to hear your idea in the news. There are just a few hours before the end of this wonderful competition and I want to thank you for all you did here, especially your contribution to my project. Best wishes for all your future endeavors and never give up on your dreams! Be a dreamer! That is the most important characteristic in life! Excellent job Ajith. Congratulations people like you deserve more appreciation to produce new inventions especially in the field of engeenering that makes our life more easy. Congratulations again Ajith. Thanks for your valuable comments, votes and suggestions. Your words are always supportive and it helps me to go forward in this competition.Wishing all the sucess. Thanks for all the support. Thanks for your valuable comments, votes and suggestions. Your words are always supportive and it helps me to go forward in this competition.Wishing all the success Thanks for all the support.. Thanks for your valuable comments, votes and suggestions. You are always supportive and it helps me to go forward in this competition.Wishing all the success Thanks for all the support. Awesome work dear Ahith. 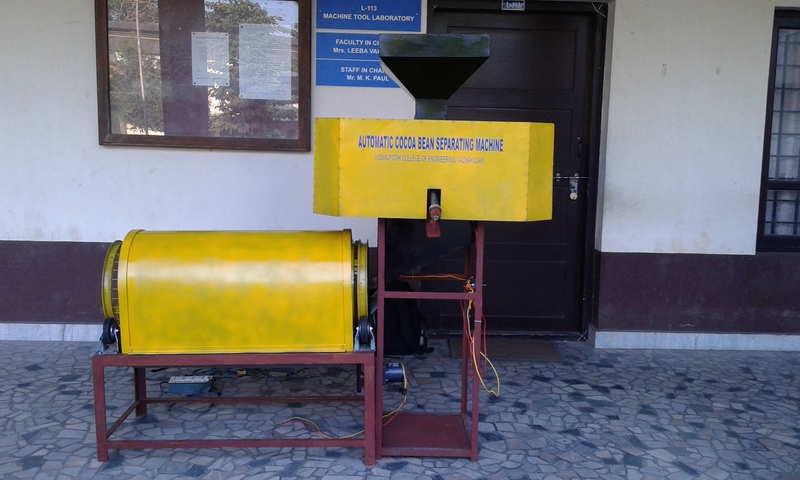 This invention will help both small scale and large scale farmers having cocoa production. Your hat work and talent are appreciatable. Wishing you all the success. Thanks for your valuable comments, votes and suggestions. You are always supportive and it helps me to go forward in this competition. Wishing you all the sucess. Thanks for all the support. Thanks for your valuable comments, votes and suggestions. You are always supportive and it helps me to go forward in this competition. Thanks for all the support. You have done a good work...It will be a great asset to the cocoa farmers as well as Cadbury production units....Keep up the spirit.. All the best. This project is interesting and awesome.This machine will be helpfull for the farmers who cultivates cocoa and will speed up the process of production.The main product of cocoa is the chocolates which which is widely famous all around the world. So this machine has a higher chance in the world market. Its been awesome having you on this platform, I have gone through you idea and give it the best I could. You can have a look at mine too " Jiggers Eradication "
Thanks for your good words and support. Keep praying and support me. Your words are very much helpful for me to improve my project. This machine reduces both the fiscal and physical energy. The addition solar energy adds extra benefit to this machine. This machine will be a real boon to agricultural sector. Wishing all the success and MAY GOD BLESS YOU. Now a days how much time is required to separate cocoa beans in manual processing. B y using this machine how much time can be reduced? Wishing all the success. I think this machine will be really trouble free because it is fully working mechanically. Such type of machines are rarely available. Now a days all the machine are equipped with softwares. But I am very much impressed to see a machine without softwares. wishing you all the success. You are a genieus. You have utilised all your opportunities to become a successful person. Keep going forward with your project and introduce this machine in the market as early as possible. Wishing you all the success. I think you are a successful person. So far your journey is in the right track. So continue your journey in the right way and keep supporting the farmers through new inventions. Wishing you all the success and May GOD BLESS YOU. You have done a good thing for the farmers. The cocoa cutting and separation procees has now become an easier job. wishing you all the success, and May God Bless YOU. So far your journey is very good. Wishing you to be in the finals of this competition and wishing all the success. This machine is a real boon for agricultural sector. This machine will be very much suitable in places where there is no electricity. The addition of solar energy is a great help for all cocoa farmers who are living in remote places where electricity is not available. Inventions like this will really help the agricultural sector to grow higher. This machine will be a great advantage for cocoa farmers. Many people are not known about the uses of cocoa products. The main product of cocoa is the chocolates which which is widely famous all around the world. So this machine has a higher chance in the world market. So implement this machine in the market world wide. Now a days the major problem faced by cocoa farmers in manual cutting and separation is that, there are high chance of getting injuries to our hands. While separating the beans from the pod, damages to the nail occur. Since this machine is provided with protective covers, I think there is no chance of injuries. So it will be very much helpful. First of all congratulations to you for inventing such a valuable machine for the cocoa farmers. I think this machine is very much helpful for the cocoa farmers of Idukki district of kerala. There are so many people in our district having acres of cocoa farm. They are getting about 1000 kg of cocoa beans per week. For such large farmers they require many labourers to perform the cocoa cutting and separation task. By this machine they can save a lot of time and money. Wishing you all the success brave man. Thanks for your comments and appreciations. Your supportive words are always encouraging and helps me to go forward in this competition. As the competition is at the verge of its end thanks for all who have supported me with comments, votes and suggestions. Thanks for your comment and appreciation. Since the machine is working under solar panel there is no problem of electricity. So the people of Ghana can use this machine in places where there is no electricity. Thanks for your question and keep supporting me. Its really an excellent project and I appreciate this new project with creative idea in agricultural field. Surely it will be helpful for the farmers to reduce their effort and increase the products. Congratulations and wish you all the best. Good and great work.Currently no such machine in world to seperate beans from cocoa pods automatically.This idea will be very helpful for cocoa farmers.Now they can operate the machine by themselves and thereby reducing the labour cost. Thank you. You have done an excellent work. I am impressed by your project and all your achievement. This machine is very useful for cocoa farmers. Keep going on. Best wishes. Good work ajith. Well done. This project will help cocoa farmers very much. And I am impressed with the idea of using solar energy. All the best for your future. You have done a good work...It will be a great asset to the cocoa farmers as well as Cadbury production units.Introduce this machine to market as early as possible....Wish you all the best...May God Bless You..
Having read through the description of the project and the numerous comments, I concluded that this is a necessary innovation for the cocoa farming sector. Someone asked if this can be used for breaking seeds of other plants like cushnuts, (check the correct spelling) in the comments. I hope you have taken note of this. You may also consider the comment about the price to the rural farmer to afford this. If you may think about social entrepreneurship and partner with a reputable cocoa dealing company, it may help in the production, marketing and sale of these machines. I have stayed in a cocoa growing village before and understand the frustration in breaking the pod using conventional means. This will mean a lot to farmers. But the bigger challenge is how the machine would be used. In most cocoa growing villages in Ghana, there are no electricity. The cocoa is grown far off from the villages. The people are cottages. How will be machine be used there. Maybe u should be thinking of solar or other alternative. An innovative idea. The good thing is it works purely on mechanical basis & doesn\'t depend on electricity at all..Hopefully this can be used to separate cashews & Almonds from their pods as well. Thanks a billion for your encouragement and when do you plan to commercially start producing this machine, it has great potentials. i suppose you have done your homework excellently. Keep up this good spirit and keep going forward. Did you have any new idea to improve the agriculture field?, if yes, implement it as early as possible. Wishing you all the success and may God Bless you. Thanks for your valuable comments and appreciation. Keep supporting me throughout my journey. Your suggestions will help me to improve myself. First of all congratulations for this new invention. Time and money are very important factor in every persons life. Here in this machine you are reducing the time for cocoa separation and also reducing the labour cost. So you have given very much importance to the major facors in every ones life. So you have done great job. There is no words to appreciate you. You have done a good thing. I thing the portability of this machine will add a greater advantage to this machine. Since it is portable there is no need to collect all the cocoa fruits in one place. We can take this machine to all the cocoa trees and the cutting and separation process can be done easily. Wishing you all the success for this competition. Genieus people like you are a role model for the youngsters of the world. Now a days youngsters are not interested in agriculture sector. It is because of the difficulties in agriculture field. I think by this machine a big problem in cocoa farming is reduced. So it will encourage more young farmers to this field. Genieus people like you are a role model for the youngsters of the world. Now a days youngsters are not interested in agriculture sector. It is because of the difficulties in agriculture field. I think by this machine a big problem in cocoa farming is reduced. S =o it will encourage more young farmers to this field. This machine is very much helpful for farmers like me.I am having about 300 to 400kg of cocoa beans per week. By manual method the bean separation is a very difficult task. As I read about this machine I became very much happy. There are so many people like me in this world. So this machine will be helpful for all cocoa farmers. So introduce this machine in the market as early as possible. Farmers like me are eagerly waiting for this machine. Wishing you all the success and keep up this spirit. Keep this good work going and invent new machines which will be helpful for farmers. Since this machine is provided with protective covers the injuries to the hands are avoided. This makes the machine more safer. Wishing you a great success. Now a days the major problem we are facing is the shortage of electricity. Since this machine is working under solar energy and battery power, there is reduction of electricity. This is a big advantage to this machine. Wishing you all the success , May God Bless You. Cocoa is very important for the production of chocolates. Now a days all the people consumes a lot chocolates. So this machine will be great help for the chocolate manufactures. I am very impressed by your project. This type of machine will be a great help for all the farmers in cocoa farming. Wishing you all the success and hoping you will be there in the finals of this competition. This is such a great project! I am very excited to see how this will be implemented. Can this machine be made anywhere in the world? Thank you for participating in that great event , it was a great nice Journey , but the best thing of it is meeting good friends like you , I hope every one of you achieve his dreams. thanks again & best wishes for you. Together we will be good people, a good team, a good world. Let's keep the Earth. First of all thanks for your comments and appeciation. Your words are always motivational and it helps me to go ahead more strongly in this competition. Keep supporting me with your valuable comments. Thanks for your valuable comments and appreciation. Keep supporting me throughout this competition and iam wishing you also o good competition. Thanks for your valuable comments and appreciation. The risks that faced while inventing this machine is the thought that ," Is it will be a success?". That risk has overtaken after the success of this machine. Keep supporting me. Your idea for the machine is worth more than you can possibly think. It's not just going to bring profit eventually but it will contribute to economic development of your country via empowerment. I think this machine will be very much helpful for the chocolate manufacturing companies like cadburies. Cadburies are having many cocoa farms all around the world. Please try to have a partnership with them and introduce the machine in the market as early as possible. Wishing you all the success. This machine can make change in the cocoa cultivation. I think by the introduction of this machine new farmers get involved in cocoa farming. I think the main advantage is the time reduction. I am wishing you all the success. Its a brilliant work....This Automatic Coco Bean Separating Machine will be very helpful to all coco cultivators. This machine will help farmers to save time and cost.The use of solar panel in this machine helps to reduce the use of electricity. It's been great having you around, I want to appreciate you for your contribution and support so far in my idea. I wish you the best in yours too and other endeavours. You have a great project at hand. Innovation rules the world. Your project will empower farmers whose specialty is cocoa cultivation to maximize their product output and minimize cost spend on labour and stable electricity. However, what are the risk inherent in this project and how have you mitigated them. Efficient and eco-friendly machine making the process of seporation of bean and shell easier. Reducing labour cost as well as decreasing processing time. I wish you all the success and may god bless you. Hello from Madagascar! I am overjoyed with the success of your project "Cocoa Bean Machine". Good work you are saving a lot of time by inventing this. Reducing injuries, labour cost and electricity consumption also will be reduced. People can do other important work. Wish you success in your path. your project is a very good idea for the local community. Its a great thing u have there.what I would like to know is that your project's activities will be to invent and sell those machines or you will be separating the coacoa in firms. Wish you good luck ! Its really a good idea. Its really helpful to farmers.Its nice concept. I have understood the following factors from your machine. The main objective of the machine is to cut the cocoa pods and to separate cocoa beans from cocoa pods automatically. The other objective of the machine is to Reduce the time required for pod cutting and bean separation. Reduce injuries. Reduce labour cost. Reduce wastage of cocoa beans Reduce electricity cost. Hello Ajith, I am delighted by your idea, I hope it can materialize and expand it. It is very important to facilitate the hard work of farmers, as well as to make the most of resources in this case, cocoa and its residues on farms. I wish you much success in this and all your ideas. I think this machine can reduce all the difficulties faced by cocoa farmers. Now a days a lot of time is required for cocoa processing and there are chance of injuries to the hands. By this machine, these problems are avoided. So I am wishing you all the success and May God Bless You. This machine will be a motivation for youngsters. Youngsters are not get involved in agriculture because of the difficulties in agriculture sector. By this machine difficulties in cocoa farming is reduced. So please implement this machine in the market as early as possible. Also please invent new machine which will be helpful for farmers. I am wishing you all the success. I have read and understood your innovative concept for cocoa separation.I am in awe of your invention and the thought process involves. It is highly useful for the cocoa farmers.Best of luck for your future works. This is the machine that all the cocoa farmers are eagerly waiting.You have given wings to their drems.This machine will bevery effective because it reduces the time and labour cost.So introduce it in the market as early as possible. So I wish u all the best and may God bless you. Your idea is so beautiful and top in its kind. I love the fact that approach the agricultural industry in a very deep and modern way. My suggestion is that you take this project to a next level, there is an endless market for such an idea. I sincerely appreciate your encouraging words on my idea, hope we can each develop our niches and make the world a better place for all. In any case i think this your machine is a novelty, here in my country Nigeria, especially in the western part of the country, where cocoa farmers are abound they still employ manual means in separating the cocoa beans, do your homework because i think a ready market may be waiting for you there, export market and i suppose the machine is affordable and yet qualitative. You are providing cocoa farmers with the tools they need to do much work in less time. Labour cost will be greatly dropped and I think they will see an increase in income as well. This is a nice project don't relent your efforts. Congrats, Ajith its a good work. Definitely your contribution will be helpful for cocoa industry.Your idea for this machine and the concept is really awsome.Go ahead with full confidence. Really I appreciate your new project with creative idea in agriculatural field..Surely it will be helpful for the farmers to reduce their effort and increase the procuct. Congratulations and wish you all the best. Your project of providing machines for cocoa processing is a massive one. 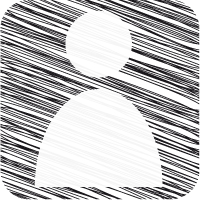 What are the challenges do you believe you may encounter during it's implementation? Thanks for your comment and appreciation. This machine has high efficiency and high productivity. So a huge profit can be obtained by using this machine. Thanks for your comment and appreciation. Till now there is no machine in the market to separate cocoa beans. This machine can be introduced in market at an affordable price for all type of cocoa farmers. Since there is no machine, there is no competitors. Thanks for your comment and appreciation. This project will help in sustainable development of the society. It will encourage more farmers to get involved in cocoa farming. Thanks for your comment and appreciation. Encouragements will really motivate me to go ahead in this competition. So these appreciations will help for the betterment in future. Thanks for your comment and suggestions. Inventions like this will help the cocoa farmers to reduce their labour cost. Now a days the cocoa farmers are spending a lot of money in the form of labour cost. So they are not getting any profit from the cocoa cultivation. Thanks for your comment and appreciation. New inventions in agriculture will encourage youngsters to get involved in agriculture and these are motivation for them. 2. Its completely mechanical, and really rigid so that its free from recurring technical errors and needs almost no maintenance cost. This project is real wonderful, I suggest you involve government involvement one institution after another as this will bring positive impacts to this project. I love many cocoa products, so I love the fact that your innovation will make the harvesting so much more efficient for the cocoa farmers. I would also love to learn the innovation's progress for sustainable development goals. Meanwhile, I believe this is a very significant invention for one of the world's most important economic crops. I truly believe you can be very successful. Your project is real life touching and I hope you're making more good progress to expand it into its full potentia.No matter what challenge you may face..Never give up. Actually your project is wonderful and it going to better the lives of people though reducing time devoted for coccoa treatment. Please How many machines you would like to introduce per year into the global market, do you have some competitors, if yes where are'? how much are they actually selling their machine? Knowing those information would help fix a good and affordable price. Keep up the good job. Actually your project is wonderful and it going to better the lives of people though reducing time devoted for coccoa treatment. Please How many machines you would like to introduce per year into the global market, do you have some competitors, if yes where are'? how much are they actually selling their machine? Knowing those information would help fix a good and affordable . Keep up the good job. In my opinion its a very innovative project.Even though cocoa is not very common in india, but its a very helpful machine for those in cocoa growing areas.The machine should be put into practical use to understand its performance and efficiency better..all the best..and keep going. The cocoa production is one of the major cash crops in my country. I like your invention, it will help improve the quality of the beans. However, I want you to make it portable and manpower operator, not necessarily depending on electricity to operate, majority of cocoa farms in my country are isolated from homes. I would really appreciate if you could go through my idea as well(follow this link https://www.entrepreneurship-campus.org/ideas/12/5961/comments). Our idea deals with covering an otherwise unused rooftop of a building with green plants and using that space for a multitude of activities. It is really very interesting and important project. Having a visionary young person like you around is very encouraging and wonderful. I wish you success on this project and you should always expect the best coming your way. I think the coca industry is already fraught with vast iniquities, most especially facing African producers. Ivory Coast is the world's top cocoa exporter and it's farmers who harvest the crop work for slave wages and toil inhuman labour at least 12 hours a day. Children are not exempt from the trade because the families and communities are poor. But as long as Westerners can count on Starbucks always being open with coffee, who care right? Even though these farmers have nothing, this labour still feeds them somewhat. Now they're to be told they're going to be made jobless by an 'innovative cocoa separating machine'? I think not. I'm sorry, I don't support this project. Not until the iniquities facing these farmers is removed by the (Western run) WTO. Good luck anyway, I suppose. It looks promising and executable . It will surly make coco producers happy. Hi, your project is really interesting. In our project we are like one step behind you. We are just encouraging young people to be active and take active part in changing the world. This for we prepared them a methodology (http://globalscouting.eu/gira/) how to do a informed action which is basically a local action with strong global potential. HI AJITH, It is an interesting machine. This type of machines are very important in the agriculture field. New advancement in agriculture will attract more youngsters to this field. This type of innovations are models for the world. Wishing you all the best May God Bless You. This is really good project and it really help cocoa farmers to stay in cocoa cultivation.kindly check the possibility to increase the speed and reduce the size of the machine. Congratulations .Your idea will truly help cocoa farmers. You continue your research in agriculture field. Youth entrepreneurs like you gives us a lot of hope. Congratulations for your efforts to revolutionize the cocoa farming in Kerala. May God help you and bless you to develop new and innovative devices for the welfare of the society. Thanks for your comments and appreciation. Since your project also matches with my project, there are chances of improving agriculture sector. Mor inventions in agriculture field can really improve the agriculture sector. Thanks for your comment and appreciation. Your comments will help me to improve on my project. I wish you all the success in this competition and May God Bless You. You have shown great efforts on this project and I believe you will make more good progress to its full extension. Thanks for your comments and appreciation. Comparing to manual method, this is very much effective and the productivity can be increased. So it is very much beneficial for farmers. First of all thanks for your comment and appreciation. This machine will be very much helpful for chocolate manufacturing companies. They can reduce their efforts needed for the bean separation. There is a huge reduction of physical energy, by using this machine. Thanks for your comments and appreciation. Your comment will help me to improve my project and make modifications to the machine. I wish you all the success for the competition. Hello Ajith , I am very happy to understand that you are actively involved in the agriculture field. I congratulate you for inventing such a wonderful machine for separating cocoa beans. May god bless all your endeavors. Been a while, Your project is awesome indeed, I just thought to stop by and check on your progress thus far and must say congratulations for your efforts so far, we all need to put in more efforts to achieve our dreams. So I just wanted to say that you keep up and be encouraged to do more. You have a very interesting project,whether the competition is on progress or not this project should take more progress as it is life changing, congulatulation for the efforts you have shown. WOOW. I personally like this machine. its a great work. I come from cocoa growing areas in Ghana and its difficult and time consuming just opening the pod. its also needs a lot of hands to manually open the pod. With this machine a farmer can reduce his cost. But how much does it cost. can the farmers afford it. would it require electricity. can it be used in the farm. may be it should have solar system to power it. I realized that you have a very interesting and yet life changing project which is unique and community based, Am inspired by your innovative project I support your project as it match with my ideahttps://www.entrepreneurship-campus.org/ideas/12/5816/ have look of it as it also community based idea. Congulatulation for the effort you're putting on this project. I hope your project will be successful. You may like see my idea, AfricEnergy, for comments and support. I am really wonder about your project. It was an amazing project. It will helpful for all Coco agriculture farmers. Nice idea. Wish you all the best . Hats off to the team who have worked on this project! Its such a brilliant idea that would help farmers save a lot of time for separating cocoa beans. Best of Luck Project team! Thanks in advance for your vote and comment. I really appreciate your contribution and would be glad to hear your advice and opinion. Congratulation Ajith.This is a wonderful machine.I have some coco trees in my house.It is not so easy for me to break the coco and collect the beans.This will be a gift for farmers like me.Thanks. Your invention is wow! You have a good project at hand and system improving one for that matter. Efficiency and effectiveness thereby leading to productivity is the result. You are genus. Keep up the vim because hope to see this machine in my country soon to enhance the work of our cocoa farmers. I have visited a chocolate factory a short while ago. The whole cacao processing system, of course, they were using gigantic machinery, swept me off my feet, but yours is just so sincerely authentic, I loved it! Congratulations on your efforts and I wish you the best of luck in this division. I am also competing with an idea in the Youth Citizen Entrepreneurship Competition. I hope you may check it out. The solar charging is a good idea.I appreciate you for it. Your project has a great potential. May your project be selected among the best. So that you may get all the help you need to introduce the project in the market at a viable price.I wish you all the very best. I think this machine will be troble free since it is fully working mechanically. Now a days most of the machines are working under some softwares. Since there are no softwares, if any problems occur it is easy to repair. The machines working with softwares requires skilled operators. Also it is less of cost of repair in case of any problems. This is a big advantage to the machine. Happy to learn about your innovative idea and bringing a new machine to separate cocoa seeds in shorter time with an affordable prize to the farmers. My hearty congratulations. I am sure the world around will be looking forward to the practical implementation and availability of the new machine to the cocoa farmers at the earliest. My best wishes to you. Congratulation for your project. I think that the machine can be used in many countries, making them improve your rural economy. In Brazil, cocoa industry is very strong, and could be a great country for bussines. Congulatulation for your innovative project, This project can help people especially local farmers. This is project Is real motivational and it deserve all kind of support to be implemented. Its really good, it is really good for coco farmers to reduce their effort.kindly introduce market as soon as possible also increase the capacity and speed of the product. This is an interesting project. Since there is less faults it will be very much user friendly and durable. If it will be available at an affordable cost, all the cocoa farmers can afford it. I am wishing you all the best and may God Bless you. Thanks for your appreciation and comment. I am planning to introduce this machine in the market as early as possible so it will be beneficial for all cocoa farmers. Every time I ready this project, I can emagine how fast and efficient the processing of Cocoa would be, this us real innovation, the world will have relief of hard job of post harvesting of Cocoa because of your innovative project if this project is expanded all over Cocoa plantations in the World.I am so inspired by your innovation approach towards Agriculture. Thank you all for your vauable comments and appreciation. I will take your suggestions in a serious way, so that I can improve this machine. Thanking you all. keep supporting me. It is really awisome project.It help Coco farmers to reduce their effort and continue in Coco cultivation.kindly introduce in market immediately and explore the business opportunities. Please grow as an enterprener. Nice one man. The project seems promising and helpful for a lot of people whose life depends on small scale cultivation. All the best and keep on inspiring young minds. Its really a good idea. Its really helpful to farmers.Its nice concept. I appreciate this invention because it heavily reduces the effort needed by the COCO farmers for the processing of "COCO products". I believe that this product will revolutionize the entire COCO agriculture. Congrats and Best of luck to you. Wish you all the best for your new project . You are doing a great job for the cocoa farmers. Did you have any more new ideas in the field of agriculture?. New technologies like this can revolutionize the agricultural sector. If you have new ideas please implement it as early as possible. I am wishing you all the success. While I am reading your project details, it is very much interesting about this machine. This type of machines are very important in the agriculture field. New advancement in agriculture will attract more youngsters to this field. This type of innovations are models for the world. So I am wishing you all the best and May God Bless You. First of all thaks for your comments and appreciation. I am wishing all the success for your project and i wish you will be there in the finals. All the Best. First of all thanks for your comment and appreciation. In India cocoa cultivation is widely spread in states like kerala, karnataka, Tamil Nadu etc. Both small scale and large scale farmers are there. This machine is affordable for small scale and large scale farmers. This machine can be operated without electricity. By using solar energy, this machine can be operated. Thanks for your comment and appreciation. This machine will be very much helpful for cocoa farmers all around the world. I think this machine have more opportunities in countries like brazil, ghana etc. Congratulations for the excellent track record of your achievement and yes indeed this technology can add value to the cocoa farmers. How big is the cocoa industry in India and what is the proportion of the smallholder (small scale) farmers. In absence of electricity, can a framer still use the machine? Great product and all the best. My hearty congratulations for your achievement. Your invention is unique in its kind and is going to be a great help for the cocoa farmers. Go ahead with your researches. I think this machine has the capacity to revolutionize the cocoa industry. Is this machine is portable and place in our farm? Since it can be operated by the farmer alone, it can reduce the labour cost. So I am wishing you all the best. Thank you Ayobami for your great support and appreciation. I am thinking about marketting this machine in all cocoa producing countries so that it will be helpful for all cocoa farmers. I am also looking forward for your presence in the finals. Great Mind Matthew ! I am impressed by your project and all your achievement! This project will be greatly needed in Africa most especially in the countries like Nigeria, Ghana etc. Keep your focus and praying you emerge in this competition. All the best ! I am in full support of your project. Your project is really innovative! It tends to support agricultural sector, ensuring food security, combating climate change by improving renewable energy utilization through the use of solar energy powered machine. That is huge! I wish you success and you can stop by on my idea to add to your contribution. Thanks for your comments and appreciation. I think you are also doing a great job and I am wishing you a great success and May God Bless you. Thanks for your valuable comment and question. This machine works under solar power. Since it is provided with dc motors, it is working with solar energy and also with battery. I think that this project would bring a change for the better in the cocoa industry. Good work, hope that it would save a lot of time and resources.Is it possible to run the machine in renewable energy like solar? I know you've heard this a thousand times before but it's true, your project is awesome, one of a kind! All I can say is I wish you all the best because from all indications you're doing great! Also in the same aura of community, I'd please love that you also read through my idea and give your comment. I am thinking about to have partnership with agricultural department and cadburies. So the machine will get a publicity among farmers and it can be made available in market easily. You have done a great thing. The machine you invented will be a great help for the cocoa farmers all around the world. Wish you all the success. Your team had done a wonderful project .It will be a great technology for the agricultural industries.Automatic cocoa beam seperating machine help to reduce the human effort.In the present situation there is no such product available in the market.And I think if this machine is cost effective ,then this will helpfull for small scale industry and also for large scale industry. Woooow! This is a very good project. It will really go a great extent to help the plight of local farmers. Ajith, have you considered a partnership with the government to bring your machine as a dividend for local farmers in your region. The government may easily take up the production cost to make the machine available to the average user farmer. This is a great invention.. Automatic cocoa beam seperating machine help to reduce the human effort.In the present situation there is no such product available in the market.And I think if this machine is cost effective ,then this will helpfull for small scale industry and also for large scale industry. I like this invention because it heavily reduces time required for separating coco beans which is a monotonous job and also eliminate damage to fingers. Best of luck. Hi ajith all the best for your conpetition. You will definitely get result for your hardwork. Let your invention be a break through to the future agricultural sector. Good luck for the future, thank you for your answer and I want to invite you to also comment my idea Path To Knowledge. I would like to hear your opinion. First of all thanks to your comments. Now there are no machine to separate cocoa beans. So this machine will be helpful for cocoa farmers. I would like to introduce this machine in market with the coordination with the agricultural department and also with cadburies. The output of this machine is cocoa beans and cocoa pods. The cocoa beans are used to produce chocolate and the cocoa pods is used as cattle feed. So there is no waste output. First of all thanks for your comment and I will take your suggestion in a positive way. This machine is multifunctional. By changing the size of the seive, we can use the rotating drum for separating pepper. great product.reduce injuries and reduce time of required. I think you must make multifunction of this product that will increase a value added of this product. are the output make a waste ? how to process the waste? I congratulate you for making this invention, but still you need to sell it so how are you doing the marketing campaign? What is your selling strategy? I think this machine has the potential to change the cocoa farming. This type of machine will encourage the wide spread cultivation of cocoa. Your approach to this new idea will be an encouragement to the youngsters to develop such new ideas. I hope you can introduce this machine in whole cocoa producing countries. May God Bless You. This is the machine that all cocoa farmers are waiting. This machine can reduce the physical energy. The addition of solar energy provides great advantage. I wish you all the success. First of all congratulations to you for this new idea. This machine will be very much helpful for all cocoa farmers because they can save their time and money. Since it is portable, the farmers can place thi machine in their farm. This is a great advantage to the farmers. So I wish you all the success and may God bless you. It is a great innovation in the cocoa industry.Now the cocoa farmers can have a great sigh of relief in terms of separating cocoa beans from pods as it can save time and energy. This machine will be very helful to farmers by making their complex job reduced.It can also reduce labour cost and injuries while cutting cocoa.You believe in creativity and innovation and this success defines your zeal of experiment. Wow......I really appreciate your effort to design and develop a portable solar powered automatic machine for cocoa farmers.The farmer alone can operate this machine, thereby labour cost is reduced. This machine is working under solar panel, so less electricity is required. This machine is portable and can be placed anywhere in the farm. Wish u all d very best for your future plans. This machine is very much helpful for me. It's saves lot of time, very user friendly. This is the machine i've waiting for a long time. It's main key feature is working on solar energy. This is an awesome invention, It is very helpful for the farmers who cultivates, "COCOA BEAN", their blessings are always with you for this invention. Congrats Ajith, You have done an wonderfull job. I really appreciate the effort you took to design, and develop such a wonderful idea. It realy helpfull for cocoa farmers. I hope you can find more inventions like this. Very nice the machine is very helpful to cocoa farmers. Thanks AJITH MATHEW for the brilliant idea. This machine is very much helpful for cocoa farmers. It takes only one hour to separate 100kg of cocoa beans. Therefore time requirement is less. The farmer alone can operate this machine, thereby labour cost is reduced. You have done a great work. It reduces the manpower and time needed in cocoa bean separation. This will attract so many people to it's cultivation. Your inventions is a great help to the cocoa farmers. Congratulations and all the best. Congratulations to your innovation. It really help to reduce the work of Coca farmers and give enhancement to new people to enter into coca cultivation. Also kindly check the possibility to increse the one time capacity and speed of machine while manufacturing in commercial aspect. First of all my hearty congratulation for this new venture. This is the machine that all cocoa farmers are eagerly waiting, and you have given wings to their dreams. By this machine the farmers can reduce their time of cocoa cutting and separation from 5 hours to 1 hour. Time is a much important factor in everyones life and we are living in a world of busy time, so this time reduction is very much helpful. Since the machine is working under solar energy and battery, the farmers can place this machine in their farm and the electricty can be saved. Since the machine can be operated by the farmer alone, thereby the farmer can reduce the labour cost. So I hope you can introduce this machine in the market as early as possible. May God Bless you. Hi Ajith, I hope this machine will be a boon to both farmers and workers those involved in cocoa production. It can also reduce the physical injuries during the segregation process. I heartly congratulate for your initiative and harwork. Hope your endeaver will be a grand success. A project that has become successful as a result of hardwork, determination and team work. An effective solution to separate beans from cocoa pods which will definitely help the farmers.Wishing you all the best. Great invention that it would have futuristic scope in coco industry. The machine performs all the basics that it will be such an ease for coco processing. Wishing you all the luck. You have done an excellent job. I appreciate the effort you took to design, and develop such a wonderful idea. I hope you can with more inventions like this. This new machine will open a new chapter in the history of coccoa cultivation and processing. Your energy and time saving machine will help the millions of coccoa farmers. Indeed you have done an excellent thing. Best wishes and good luck to this project. I think this machine is very useful for cocoa farmers and the cocoa cultivation will be a speedy process.Your idea is very impressive and it will reduce the labour cost.wish you all the best for your bright future. Life-it is a reality...it is magical...and it is beautiful,when we turn our dreams at reality.I am proud of your successful project work..I think you can do more than this.. Your innovation will helps to the widespread cultivation of cocoa plants.. I am very proud of you. Your new machine will help millions of coccoa farmers and cocoa industry. This is a mile stone in the history of cocooa cultivation. I wish you all the best to this project. You have done a very excellent thing. By invention of this new machine , the farmers of cocco will get a relief. I wish you all the best for this project. Cocoa Bean Separating Machine is a wonderful product for the cocoa farmers. It saves money, time and physical energy. The addition of solar energy provides more convinient and helpful to the work of this machine. I wish you to introduce this machine in the market as early as possible and I wish you a very successful experience to you and may God Bless you. I am very proud of you hearing the news that the innovation of the machine for cocoa bean separating from its pods. It is a great boon to the cocoa producers. It helps the cocoa farmers both fiscally and physically. I think it is not only help the laymen but helps to the youngsters to encourage further new innovations. However my hearty appreciation to this new entrepreneurship. I think to add a measurement system and push-pull moving unit for more convinience. This is a great idea because cocco farmers can do morethan one work at a time using this mechine. Good work Ajith, This is really helpful for cocoa farmer, Keep up the good work. Try to add a drayer feature in the machine, It will give more acceptance of your machine. All the best for your future endeavours. Congrats Ajith. Your implemented project can be of great help. Hope you can find some sponsor who can help you globalize it. Wishing all the success for your future projects. Great Idea and Execution .It\'ll be a great help for large scale as well as small scale cultivation. Wish you all the Best for your future endeavour and God bless you. Congratulations Ajith. This project would be a great help for the cocoa cultivators. May your new venture get you closer to your dreams. Appreciating your hardwork and efficiency. Best wishes!! You have done a wonderful job.Your concept for this machine was really awsome.All the best for future career.Hope this project will help your career to climb high. GOOD LUCK AND KEEP IT UP . Hello Ajith Mathew,this is one of the most innovative and it will help farmers for increase in productivity. May I have your email id or phone number. Congratulations...Your invention can help farmers to cut short the labour cost & time for separating the cocoa beans from pods.So Chocolate & Pharmaceutical industry can get the benefit of getting cocoa beans on lesser price than before. Definitely your project will be profitable for cocco bean manufactures and exporters. I hope it is helpful in beginners who start a cocco bean manufacturing unit.So it is applicable in both exporters and small scale units.once again I appreciate your grate efforts and hard work.keep it up.. God Bless You. It is a great innovation in the cocoa industry.Now the cocoa farmers can have a great sigh of relief in terms of separating cocoa beans from pods as it can save time and energy. It is economical too. Best of luck Ajith. Congulations Ajith! I really appreciate to design & developing of the Automatic cocoa been separating machine with help of solar energy . Wish u all the best 4 ur futuire ideas & waiting 4 much amazing ideas!. The achievement you have today has your story of climbing the highs. The story of hard work and efforts that bring you the desired goal. Keep this spirit forever in your life.The step you crossed opens up the door of opportunities and lots of responsibilities. Be the best to grab each one and scale every success in your life. I appreciate for all those worked behind this great effort,Ajith. It's really helpful to the farmers and cocoa industry. While doing this method,cocoa farmers will reduce their work and time. keep moving..
Congrats for the brilliant project.separate cocoa beans from cocoa pods automatically.its really helpfull for the farmers.applicable to the cocoa industry.. Awesome machine and its revolution among cocoa plants growers. Separation of cocoa from pods has been a daunting task for the farmers and the invention of this machine will be a relief for them as it will save time and conserve energy. Innovative and economical. Help to overcome the time consuming process of bean separation. It will be a boost to the cocoa industry. It will be a great hand of help to the farmers and also will revolutionize the industry. I wish the very best for the future plans. Congratulations for all those worked behind this interesting innovation,especially I appreciate the great mastermind behind this great effort, Ajith. Each and everyone has contributed a very outstanding innovation that can turn the phase of the whole agricultural industry.This could be a great hand of help to the farmers who work behind the productivity of the coco industry. May this be a great inspiration to the economy ..all the best for all your future efforts and waiting for much more amazing innovations. A simple and effective design. Good job.It would be greatly helpful for the cocoa planters if you can make this machine commercially available in the market.I think this machine will reduce the time taken for cocoa bean extraction.Best of luck. it is a really good work. Very feasible solution for human labour scarcity in cocoa plantations. it will really make the process of preparation of cocoa very easy. congratulations. I gladly congratulate you for your tremendous work that you have done. I'd like to say that this is really appreciative effort to design , develop and come up with a wonderful idea. Indeed, it will be much helpful in the field of cocoa cultivation and cocoa processing.keep move on brother.i wish you all the very best. Hi Ajith, ur logic is superb ! It will definitely help the farmers to reduce cost and their precious time. And I am sure that u can introduce this product in the market at an affordable rate. Wish u all d very best for your future plans. I really appreciate your effort to design and develop a portable solar powered automatic machine for cocoa farmers. Your machine will make cocoa bean extraction process much easier. It will definitely boost the cocoa bean industry. Congratulations Ajith its a great idea.It'll be very much helpful in the cocoa cultivation field and will speed up the process of cocoa processing.I wish you all the very best. Wow is a wonderful project. It'll surely be a helping hand to all the cocoa farmers out there.The solar charging is a good idea.I appreciate you for it. Your project has a great potential. May your project be selected among the best. So that you may get all the help you need to introduce the project in the market at a viable price.I wish you all the very best. Cutting cacao fruits in an easier method will help not only in extraction of cocoa beans and produce chocolate, but also in extraction of the cocoa butter that is used in pharmaceuticals as an oleaginous base. I have personally done suppositories using the theobroma oil and guess your idea will help not only industries but also pharmaceutical companies! Really interesting and awesome. Lot of awards you have won. Main objective of the machine is to cut the cocoa pods and to separate cocoa beans from cocoa pods automatically. How much will machine cost to end user ? Do you have any plans to manufacture it ? Excellent project. This project has the potential to revolutionize the cocoa industry because at present there are no automatic machines which can cut and seperate the cocoa beans simultaneously.